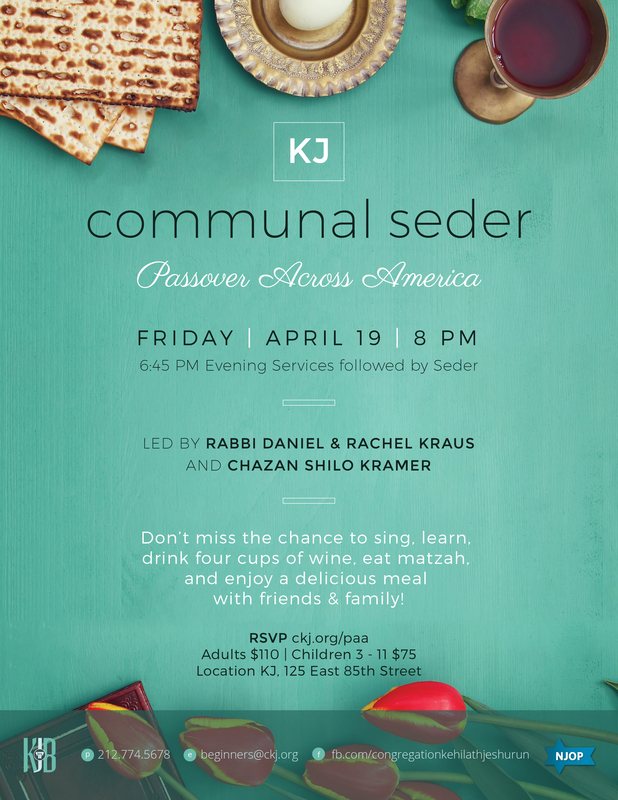 Join the Kraus and Kramer families on Friday, April 19, for a Communal Seder experience you won't forget! Sing, learn, drink four cups of wine, eat lots of Matzah and a delicious meal, and follow the seder with your friends. Lots of questions; plenty of insights! RSVP HERE.